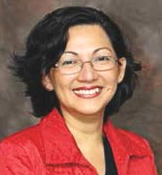 Ms. Salinas is a communication and dissemination expert and project manager with 20 years of experience. She has coordinated implementation of communications and marketing activities from early pilot phase to test and establish market viability, to full-fledged program implementation. She has assisted local and national programs in developing goals, implementation plans, communication and dissemination plans, and in integrating research and evaluation findings into program development. She has successfully applied a social marketing framework and approach to inform message development to better serve diverse audiences on a variety of programs. From 2012 through 2015, she served as the dissemination Task Lead for REL Mid-Atlantic, one of 10 Regional Educational Laboratories funded by the U.S. Department of Education. As the dissemination Task Lead, she helped the program establish a communication and dissemination infrastructure with the goal of achieving meaningful stakeholder engagement throughout the funding cycle. She developed annual dissemination plans and annual progress assessment plans. She was responsible for dissemination strategy and messaging and led implementation of activities, including oversight of professional development meetings and conferences across the mid-Atlantic. She oversaw content development for print materials, social media channels, and website. She set the tone for a cohesive look and feel of all messages and materials and integrated data use for evaluating message reach and effectiveness. She identified opportunities to increase understanding of the work of the REL, including establishing a presence on social media, developing infographics, webinars, and messages to integrate across all project activities. She is currently the founder and owner of Dissemination Engagement Strategy Group LLC, an independent consulting firm. As an independent consultant, she continued to support REL Mid-Atlantic’s dissemination strategy development and activities implementation from 2015 through 2016. Prior to that, she led community engagement for various education projects, including Ready To Learn, a cooperative agreement funded by the U.S. Department of Education. Her dissemination project management skills include oversight of multiple projects with cross-functional, distributed teams. For grant programs, she has been particularly adept at leading and coordinating multi-agency resources and establishing effective communication between clients, subcontractors, grantees, and related stakeholders for maximum program effectiveness.